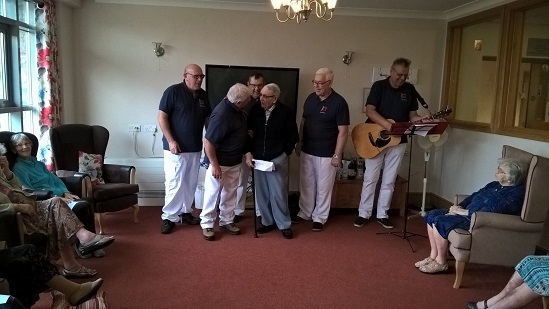 This month we had the delightful and very entertaining Storm Force 10 singing Sea Shanties and Folk Songs to us with no charge. They came along dressed in matching outfits. We were wondering if they had the left the boat outside as they looked and sung the part. These are friends of Bill one of our residents, so thank you very much for doing this. They have already offered to come again anytime in the New Year - fabulous! !